Home » News archive » MIST OF MISE…s." MIST OF MISERY: New Song "Halls of Emptiness." 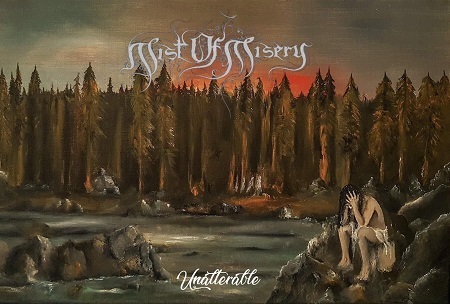 Swedish DSBM symphonic black metal group present the long awaited first follow up to 2016s album Absence Mist Of Misery - Unalterable the album marks the bands strongest material to date as well as the bands sixth release with Black Lion Records, the album plays at nearly the 2 hour mark! and will be out on April 12th 2019 a 2 CD Digipak. As the band explain, the new album’s title “refers to the path of life, unalterable despite all efforts to alter the course — how you’re bound to dwell in this miserable existence until life’s end”. The confrontation and manifestation of misery has been such a core aspect of the band’s creative devotion that the word is right up-front in their name. Yet there is great beauty in what they write as well, even if it is a gloomy, haunting, and even terrifying beauty that they portray.